Amethyst Crystals glisten in the heart of the 'Purple Passion' Pendant ! 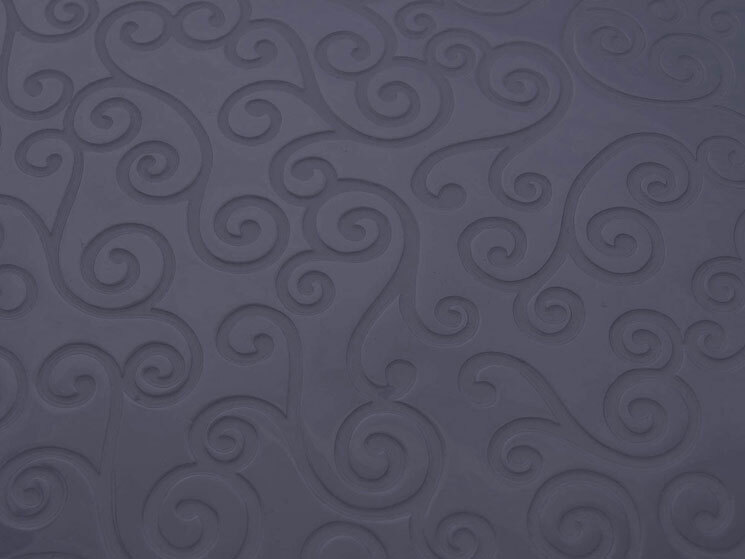 The solid argentium silver 'Purple Passion' Pendant has been entirely hand fabricated. The pendant features a central, bezel set 45 x 26 mm purple amethyst crystal accented by a 5 mm and two 4 mm, facetted, bezel set amethyst gems. The 'Purple Passion' Pendant measures 75 mm x 35 mm and weighs 29.3 grams. 'Purple Passion' Pendant $ 456. All of the jewelry showcased in the 'one-of-a-kind' collection are artist originals. 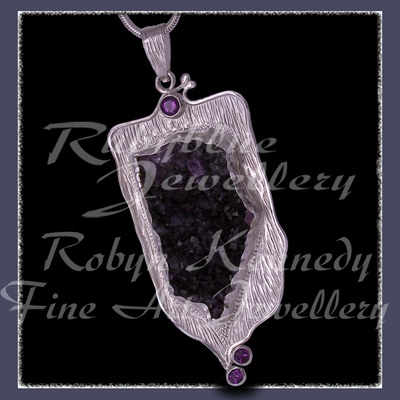 To purchase the 'Purple Passion' Amethyst Pendant without using PayPal, please contact us by e-mail or phone at Rubyblue Jewellery.